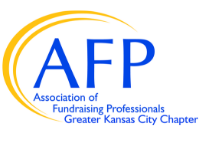 The AFP Mid-America Chapter hosts a variety of programs and events for professional and volunteer fundraisers of all levels of expertise. We offer opportunities to network and learn over breakfast or lunch through our Forums and Webinars, or a deeper dive with our 3 hour tactical sessions and our day-long Focus programs. Each fall, we host those new to the profession at our two-day Fundraising 101, and we offer regular networking opportunities with your fellow fundraisers. Check out the Upcoming Events section to register your spot for an upcoming AFP program. AFP Mid-America Chapter socials are a great way to network with other development professionals! New business relationships and friendships are often forged at AFP socials. These events are a wonderful way to mix fun, friends, and your chosen profession. Join us! AFP Webinars are a wonderful way to experience world-renowned experts in Kansas City. The topics, which are presented by AFP International, and speakers change each time. In addition to broadcasting AFP Webinars live for our local audience, AFP Mid-America Chapter members can access the chapter library of Webinars for downloading and viewing at your convenience. Click here for additional information about the Webinars available for download.